537: More Florida: Neil Blender at Kona 1981? I found this while I was looking for something else…its cool when that happens. There are a couple more of these via Kona. I will attend to entering them into the archive post haste! 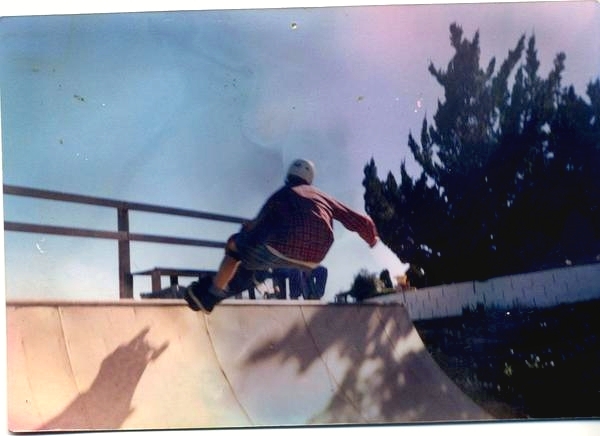 This entry was posted in 1984, Neil Blender, SKATE VIDEOS and tagged 1984, ART, backyard ramps, boards, diy, east coast, house of steam, independent, jason, Jason oliva, jasonoliva, Kona Skatepark, Neil Blender, New Jersey, New York City, old school, old school skateboarders, oliva, paintings, photography, pool Skating, ramp, ride, sk8, sk8t, skate, skate decks, skate film, skate footage, skate history, skate photography, Skate ramps, skate stickers, skate trucks, skate wheels, skateboarding, skateboarding history, skateboarding photography, skateboards, skatepark, skater, SKATERS, steam, Stickers, Street Skating, TEAM STEAM, The Barn, The House of Steam, the house of steam shop, thos, those, those shop, underground, underground skateboards, vert, vert ramps, Vert Skating on March 17, 2010 by jasonoliva. 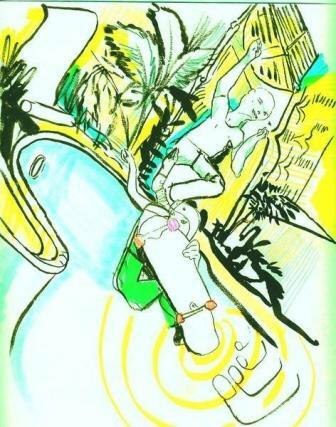 This entry was posted in 1985, Neil Blender and tagged 1985, ART, backyard ramps, boards, east coast, great desert ramp, house of steam, jason, Jason oliva, jasonoliva, Neil Blender, New Jersey, New York City, oliva, paintings, photography, pool Skating, ramp, ride, sk8, sk8t, skate, skate decks, skate history, skate photography, Skate ramps, skate trucks, skate wheels, skateboarding, skateboarding history, skateboarding photography, skateboards, skatepark, skater, SKATERS, steam, Street Skating, TEAM STEAM, The Barn, The House of Steam, thos, vert, vert ramps, Vert Skating on August 23, 2007 by jasonoliva. Thanks for spreading the word about The House of Steam and turning me on to thee killer Neil Blender clip. Anyone else skate the Globe Ditch in AZ?… Taylor? This entry was posted in 1985, 1987, 2. SKATE SPOTS:, 2007, Globe Ditch AZ, Neil Blender, SKATE PARKS:, SKATE VIDEOS, SPOTS: and tagged aaron franquero, ART, backyard ramps, boards, east coast, jason, Jason oliva, jasonoliva, Neil Blender, New Jersey, New York City, oliva, paintings, photography, pool Skating, ramp, ride, sk8, sk8t, skate, skate decks, skate history, skate photography, Skate ramps, skate trucks, skate wheels, skateboarding, skateboarding history, skateboarding photography, skateboards, skatepark, skater, SKATERS, steam, Street Skating, TEAM STEAM, The Barn, The House of Steam, thos, vert, vert ramps, Vert Skating on July 18, 2007 by jasonoliva.